The picturesque Kashmir valley is not only a treat for the eyes, but a delight for the belly, too. The Kashmiri cuisine is known for its appetizing and delicious preparations, with generous use of spices and dry fruits. This helps the people of the region to fight the extreme cold weather conditions, but it’s surely also because it just tastes so good. 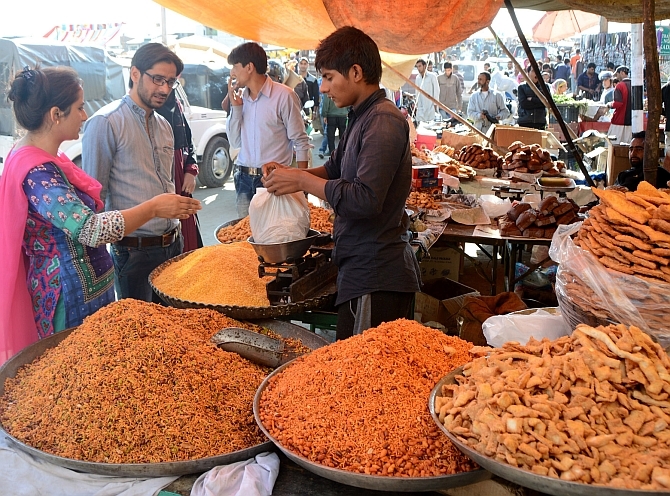 As you would expect, the food of this region has a heavy Mughal influence, and is rich in flavour, because of the use of various spices such as saffron, cloves, cinnamon, ginger, fennel and cardamom. Let’s find out the top food in Gulmarg. A fiery lamb gravy, it is one of the more well-known Kashmiri delicacies and a must-eat dish for meat lovers visiting Gulmarg. 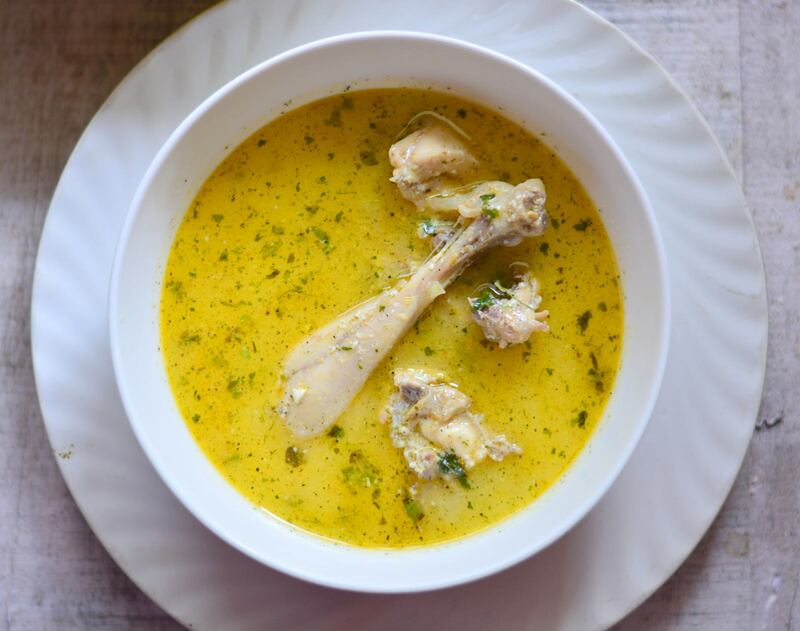 A signature Kashmiri recipe, it was introduced to India by the Mughals. It is prepared with aromatic Kashmiri spices, lots of red chilli, onions and yoghurt, and is typically eaten with rice or naan. Go ahead and fill your mouth with a riot of flavour. Meatballs floating in a spicy yogurt gravy. Made out of mutton mince, it is usually eaten only on grand occasions, such as your holiday, of course. It is also known as a “dish fit for the kings”. Best eaten on cold winter nights. Flavoured with malwa flowers, this Kashmiri delicacy is made up of lamb cooked in a yogurt-based gravy. The gravy comprises yoghurt, onion paste, black and green cardamom, dried mint leaves and aromatic fennel seeds to add an extra punch to the gravy. It is best enjoyed with rice. Tujj or the traditional Kashmiri mutton kebab is an experience that will mesmerise your tastebuds. 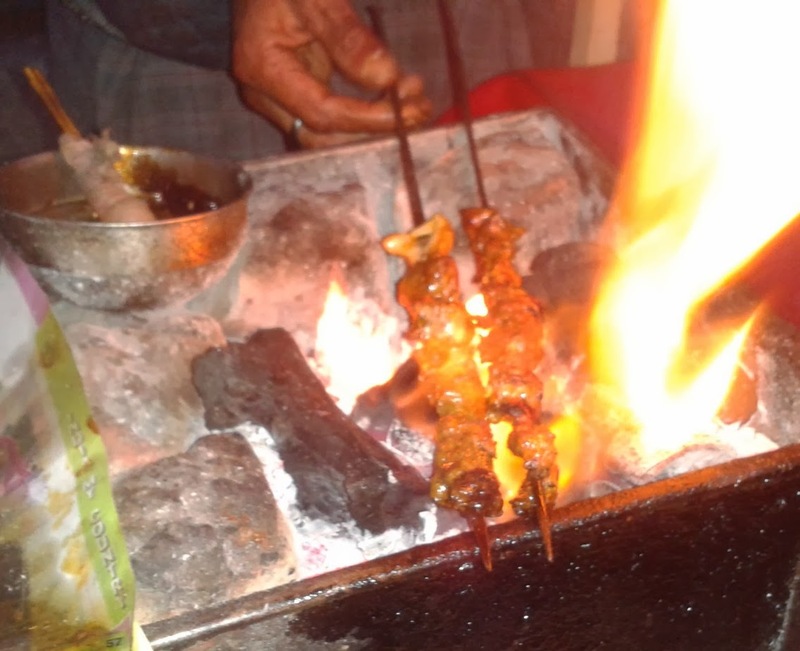 These kebabs are prepared on skewers and cooked on slow-burning coal to cook the meat just right. The succulent minced mutton just melts in your mouth. It is eaten with a Kashmiri roti and radish chutney. This is a rich and tasty treat for fish lovers. The fish is deboned and dipped in a spicy flour batter and then deep friend. A treat for the non-vegetarian palate, the Gaad Monje is usually served with a spicy radish chutney. This is a variation of the popular vegetarian item nadir mojje, where the lotus stem is used in place of the fish. Gaad is a dish that is made with fish along with nadur or radish. This dish is served on special celebrations and occasions. Herbs, spices and the amazing lotus stem add a robust flavour to this dish. It is usually served in the month of December during festivals like Gaada Bata. Most of the Kashmiri dishes are non-vegetarian, but there is something legendary about the dum olav or aloo. Potatoes cooked in yoghurt and spiced up with powdered ginger, fennel and other popular Kashmiri spices lend a very unique taste and flavour to this popular dish. Dum Olav or aloo is usually eaten with roti or naan. 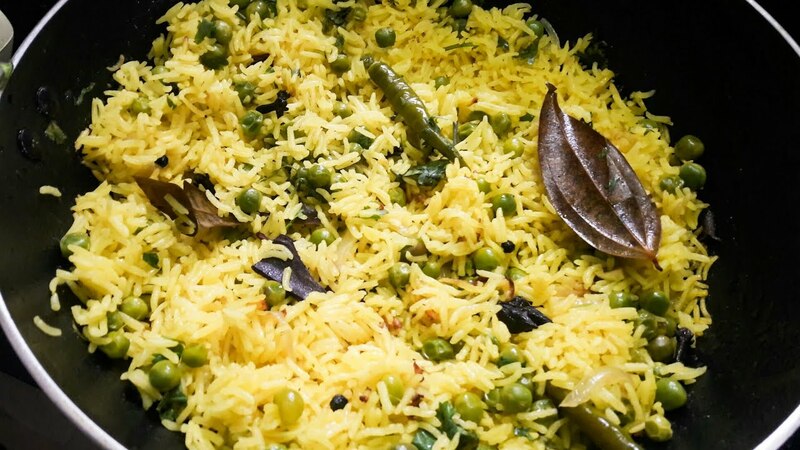 Modhur Pulav is the name given to sweetened Kashmiri rice made with cinnamon, a little ghee, saffron, green cardamoms, and milk as the main ingredients along with dry fruits. The saffron gives this heavenly dish an orange hue and enhances its taste. The unique taste of this amazing blend of ingredients will leave your taste buds craving for more. The Kashmiri take on French fries they are sometimes called. But made instead with lotus stems, which, by the way, are a delight in any form. Nader Monjje is a favourite snack and a very popular street food in Gulmarg. These are lotus stems that are cut into small pieces, dipped in a besan batter and deep fried until they are golden brown. 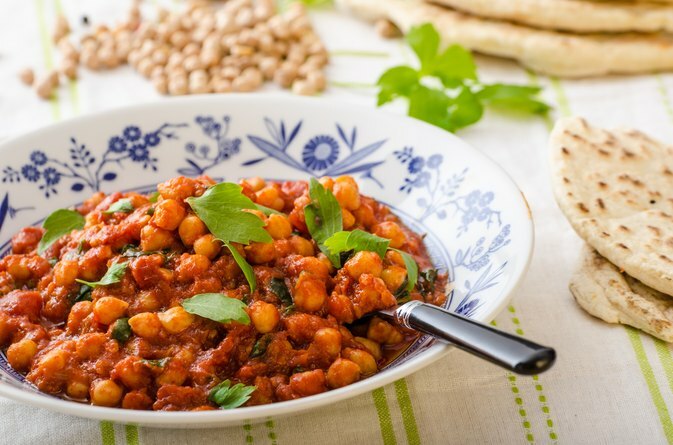 Perhaps the healthiest of the treats we’ve mentioned here, the Masala Tcotte is made up of boiled and flavoured chickpea masala that is spread over a Kashmiri naan (or lavaas as they call it there), and eaten with mujj chetin (or a spicy radish chutney). This hot and yummy chickpea-filled roll is a healthy snack that can be enjoyed while taking a stroll on the streets of Kashmir. There are a lot of hawkers all along the streets that make and sell this dish. The spicy and non-messy chickpea wrap can be enjoyed while sipping a hot cup of tea, an ideal snack for a chilly winter day. These are a hit with people of all ages. Hot boiled and flavoured split wheat are mixed with a black masala (or the kruhun masalle as it is locally called) and eaten off a paper cone. This is a fat-free as no oil is used in the preparation. Highly unusual, Kashmiri noon chai is pink in colour and has a salty taste. Why? Because of what it’s made with: green tea, milk, salt and soda bicarbonate. Try it you must. There are many traditional bakeries that make different types of bread like sheermals , kulchas ,bakarkhani, and various other sweet and savoury treats that can be enjoyed and eaten for breakfast along with a hot cup of Kahwah, a traditional Kashmiri tea. Considered one of the finest desserts of Kashmir, this simple yet mouth-watering dessert is made up of vermicelli or sewai. It is cooked in milk with coconut and has a generous helping of dry fruits. These simple yet amazing flavours will leave you wanting more. These large Parathas are a dream. These are basically large deep fried rotis that is eaten with sooji halwa, a real winner and must have on your list. The halwa is made up of sooji or semolina and the paratha is made with flour. Not the healthiest combination surely, but there’s no way you’ll be able to refuse it once you see it. The food in Gulmarg, as you can see in the pictures, can be pretty heavy, a necessary evil in the cold of Kashmir. It definitely makes for great holiday food. We’re aware that our picks barely scratch the surface of all that’s on offer in Gulmarg. Let us know which others you would add to this list. Matschgand? Muji Gaad? What would it be? Majestic Beauty of Kashmir Welcomes You on Board!